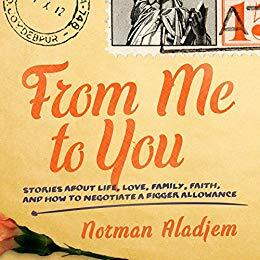 In “From Me to You: Stories about Life, Love, Family, Faith, and How to Negotiate a Bigger Allowance” writer Norman Aladjem has given his daughter Mackenzie a fatherly instruction manual that is page after page of life lessons, history, learned advice and brimming with love. Norman Aladjem is a successful Hollywood talent manager, producer and most lately — author. 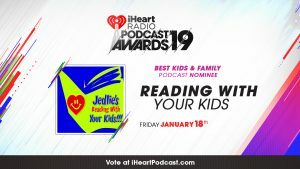 He is joining us on the Reading With Your Kids podcast to share with us how letters to his daughter turned into a book, The purpose of creating this book, His journey to become a writer, Upcoming projects & more. It’s a fun interview. Come along! When his youngest daughter, Mackenzie, turned eleven, Norm wanted to share some of his well-earned life lessons with her and to share some of their family histories. But eleven-year-old little girls aren’t always ready to hear what their fathers have to say. Instead, he wrote her letters, one each week for a year, as a memoir that they could one day savor together when she was ready. Norman tells us how he wanted to share his life story with his younger daughter, Mackenzie. Norman tells us he wrote those letters because he wanted to make sure his daughter knew how he felt about various topics in life as they grow older and embark on their own paths in life. What is Norm currently working on, resources available on his AMAZING website and much more…Be sure to tune in to this insightful episode! A big thank you to Norm Aladjem for joining us and for sharing his book with us! PreviouslyMeet “The Daydreaming Danny and the Pirate Treasure”!! Read NextPresenting “Amber’S Magical Savings Box” by Rachael Hanible!! !